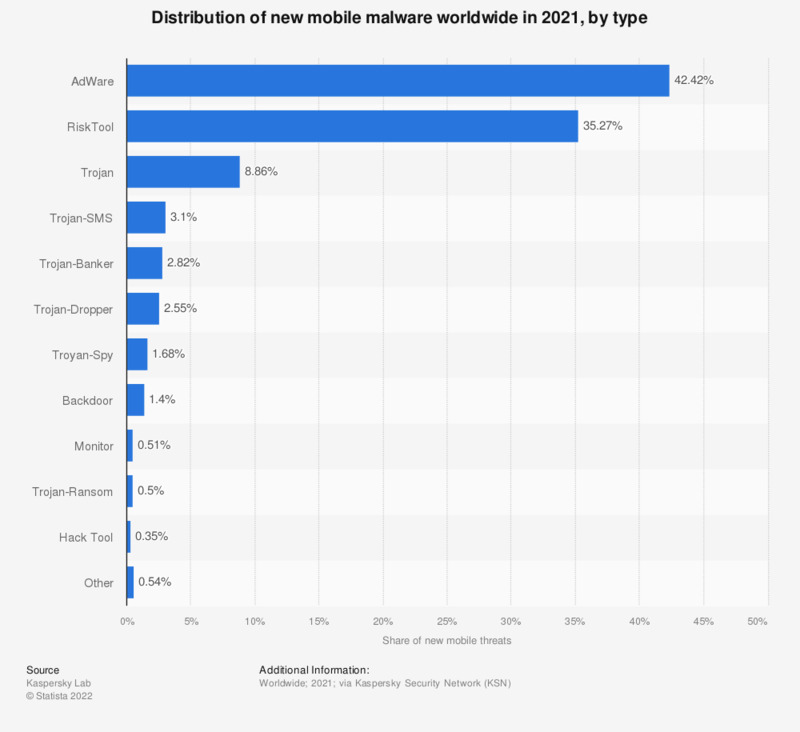 This statistic presents the distribution of mobile malware types worldwide in 2017. During the measured period, RiskTool accounted for 47.74 percent of new mobile malware. AdWare ranked second with a 13.24 percent share.